Aiseesoft Total Video Converter - Review & Free Registration Code Deal! A great piece of software with extremely powerful and full-featured functions to convert any video format. Get Aiseesoft Total Video Converter license with 70% discount coupon. You also can get the full version license free for 1 year in the software shop giveaway of the day! Aiseesoft Total Video Converter is a great piece of software with extremely powerful and full-featured functions to convert any video format for various media players, personal portable devices, video editing software and others (e.g YouTube video compatible). As the best video converter software, it supports converting all video such as MP4, MKV, WMV, AVI, Quick Time MOV, DivX, MTS, M2TS, MXF/P2 MXF, MOD, H.264/MP4 AVC, HD WMV etc. to popular SD, HD and 3D video formats. In addition, it can also extract audio track from video files and convert them to MP3, AAC, AC3, AIFF, OGG, M4V, MP2, WAV, WMA, etc. Aiseesoft Total Video Converter can perfectly convert 2D video to 3D formats and provide users with multiple 3D modes including Anaglyph 3D, Side by Side 3D, and Top and Bottom 3D. This excellent video conversion program is also multifunctional video editor software comprising functions of adjusting video effect, trimming video clips, cropping video playing area, adding watermark to video and merging multiple video clips. With an intuitive and user-friendly interface, Aiseesoft Video Converter for Mac easily converts all popular formats like MP4, AVI, WMV, MOV, MKV, AVCHD MTS/M2TS, MOD/TOD, MXF and more to any video formats including HD video formats such as DivX HD Video (*.avi), HD H.264/MPEG-4 AVC Video (*.mp4), HD MKV Video Format (*.mkv), HD MOV Video (*.mov) 30X faster with zero quality loss. The ultimate version combines one embedded Mac video downloader, which could not be more easier to download video from YouTube, Vevo, Vimeo, Dailymotion, Metacafe, Yahoo and Facebook. This Mac Video converter software also supports converting 2D videos to 3D files and offers Anaglyph 3D, Side by Side 3D, and Top and Bottom 3D modes. Aiseesoft Total Video Converter for mac could also extract audio track from video files, or convert audio from and to MP3, AAC, OGG, AIFF, AC3, lossless audio formats including FLAC, WAV and WMA and other popular audio formats. In addition, it provides users with the preset output formats for iPhone, iPad, iPod, Android devices, YouTube, iMovie, Final Cut Pro, and more. Convert between various video formats such as MP4, H.264/MP4 AVC, H.265/HEVC, MTS, MXF, MOV, AVI, DivX, WMV, MKV, FLV, WTV, VOB as well as 4K, HD and 3D video formats. Converts any video you download from online video sharing sites (YouTube, Dailymotion, Vevo, etc.) to MP4, MP3, WMV, MOV, etc. for playback on your TV or mobile device. Supports any 4K encoding and decoding, including H.265, H.264, MPEG, Xvid, VP8, VP9, etc. Convert 2D videos to 3D format with multiple 3D options. Top and Bottom (Half-Height/Full) 3D. 6X faster conversion speed with NVIDIA® CUDA™ or GPU Processing acceleration technology. Convert any video files for playback by various media player software such as Windows Media Player, VLC, QuickTime player, and more. Converts any movie and music format for enjoying on any portable device, such as iPhone, iPad, iPod, Samsung Galaxy S6, Samsung Galaxy Note, HTC, PSP, Sony Xperia, etc. The best video enhancing software to improve video quality. Upscale your video resolution with one click. Adjusts brightness and contrasts automatically. Allows you to stabilize your shaky video. Convert any audio format to AAC, AC3, AIFF, AMR, AU, FLAC, MP3, M4V, MP2, OGG, WAV, or WMA. Adjust video – Adjust the output video’s Brightness, Contrast, Saturation, Hue and Volume until it meets your satisfaction. Crop video – Crop the video to get rid of the black edges so that it will suit your screen. Add Watermark- Add a text or image watermark to your video to make it special. Rotate video- Rotate sideways video to correct angle with 90 clockwise or 90 counterclockwise as you like. Flip video- It allows you to make your video with a horizontal or vertical flip according to your watching habit. Not sure if Aiseesoft Total Video Converter does what you need? Try it out now. Please feel free to download Aiseesoft Total Video Converter for Windows / Mac here. This powerfull video converter by Aiseesoft has been tested professionally and we are assured that no viruses, Trojans, adware or malware contained. Aiseesoft Total Video Converter retails for $45.00, But, on our website, THE Software Shop, you can save on your purchase of its license key with 70% discount coupon code. This offer is available for a limited time! 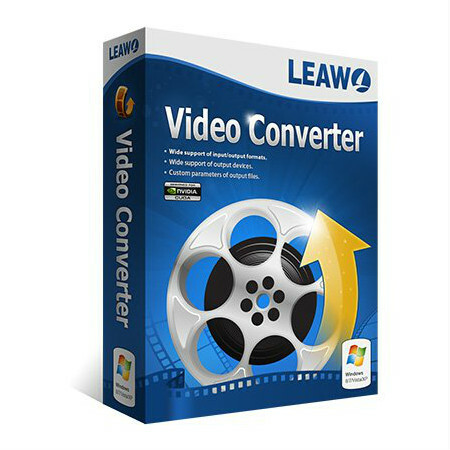 A complete set of powerful video conversion and editing tools. Full version (No conversion time limitation). 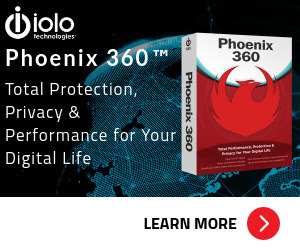 Use this product forever and enjoy free 1-year update. Free 1 year technical support via e-mail, guaranteed reply within 24 hours. Use this product forever and enjoy free 1 year update. Thanks for reading Aiseesoft Total Video Converter review at a glance & enjoy the discount coupon. Please Report if Aiseesoft Total Video Converter Deal/Discount Coupon/Giveaway has a problem such as expired, broken link, sold out, etc.